I've not blogged for two months.. how has this happened? Each day I've been thinking up ideas of things to blog about, taking photos of products I want to talk about and meaning to sit down in the evenings to start writing posts. But, life has just happened and nothing has come of my ideas. Having a baby to look after is hard work! We usually get up at around 6.30 each morning and by 7pm when she's in bed I just want to cosy on the sofa and watch some mind numbing TV. But, things have got to change if I want to continue with my blog work; I've got to pull my finger out and get on with it. I've got to learn to use my time more effectively and not let myself get into these blogging breaks too often! 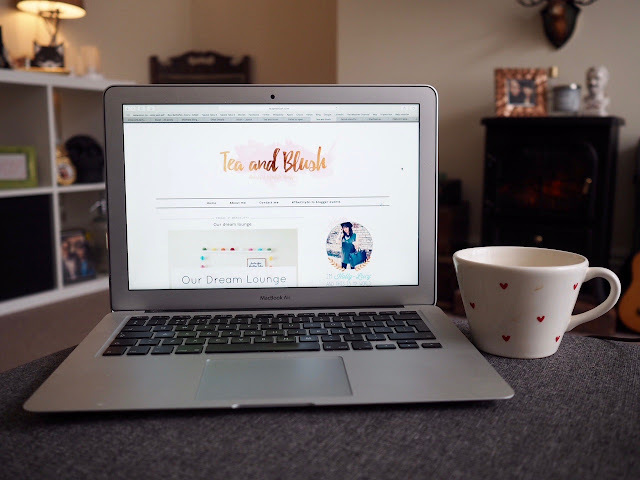 I'm setting myself a specific evening per week to focus on blogging; I'm luckily in the position where I can quite easily take photos during the day whilst Aria naps so now I just need to get going with the writing. I know if I let my blog go I'll regret it in the future so things are going to get going again; I'm going to start working on posts about things I'm passionate about, topics that excite me, products I love, experiences that make me smile and memories I want to document and look back on. Although maternity leave isn't a holiday whatsoever it's a special year I'll never get back and as well as raising a clever beautiful little girl I also want to come out of it thinking I've achieved something for myself. Blogging will help me with that and it's totally part of who I am now so there's no way I'm letting it go so easily! I've been decluttering our lives, finding new ways of saving money, experimenting with cooking, getting crafty, learning about child development, observing and adapting our style of parenting, reading more books, letting go of worries I once had, powering through with breastfeeding, organising childcare and so much more so I've got plenty to write about. I just need to do it. And, I'm going to. I may have had a break but that's it, it's over. Keep an eye out for a weekly blog post every Thursday and check out my Instagram for daily updates on our adventures and just day to day goings on.